To summarize the current evidence on preventive services utilization in cancer survivors. A systematic literature review and meta-analysis was conducted in February 2016. Studies were included if they compared the utilization of influenza vaccination, cholesterol/lipid testing, bone densitometry, or blood pressure measurement among survivors of adulthood cancer to cancer-free controls. Random effects meta-analyses were conducted to pool estimates. Literature search identified 3740 studies of which 10 fulfilled the inclusion criteria. Cancer survivors were significantly more likely to utilize bone densitometry (OR=1.226, 95% CI: 1.114 – 1.350, p<0.001) and influenza vaccination (OR=1.565, 95% CI: 1.176 – 2.082, p=0.002) than cancer-free controls. No statistically significant differences were detected for blood pressure measurement and cholesterol/lipid testing (OR=1.322, 95% CI: 0.812 – 2.151, p=0.261; OR=1.046, 95% CI: 0.96 – 1.139, p=0.304). Cancer survivors were more likely to receive influenza vaccinations and bone densitometry. Future studies should evaluate underlying mechanisms and whether the utilization of preventive services translates into prolonged survival of cancer survivors. Our meta-analysis demonstrated cancer survivors to be more likely to receive the preventive services such as influenza vaccination and bone densitometry than cancer free controls. Still, these results should be interpreted in the context of suboptimal utilization of preventive services in general, and for cancer survivors in specific. Future research should evaluate the underlying mechanisms and whether utilization of preventive services is associated with overall survival in cancer survivors. 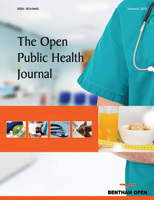 Keywords: Preventive services, Meta-analysis, Cancer survivors, Lipid testing, Influenza vaccination, Bone densitometry. © 2018 Uhlig et al.